KUWAIT CITY, March 14: Undersecretary of Ministry of Interior Lieutenant General Essam Al-Naham organized the first meeting to discuss all issues concerning canceling residency stickers in the passports of expatriates and including all relevant information in their Civil IDs, as well as dealing with any obstacles that expatriates could face in case they lose their Civil IDs when they are outside Kuwait. Present in the meeting were Deputy Foreign Minister for Consulate Affairs Ambassador Sami Al-Hamad, Director General of Public Authority for Civil Information (PACI) Musaed Al-Asousi, Assistant Undersecretary for Border Security Affairs in Ministry of Interior Major General Mansour Al-Awadhi, Assistant Undersecretary for Legal Affairs, Studies and Research in Ministry of Interior Major General Majed Al-Majed, Assistant Undersecretary for Residency Affairs Major General Talal Marafie, Deputy Director General for Airport Affairs Fahad Al-Waqyan, and Acting Director General of the Public Relations and Security Media Department in Ministry of Interior Brigadier Tawheed Al-Kandari. During the meeting, the attendees affirmed the importance of coordination between Ministry of Foreign Affairs, PACI, and departments of residency and border security in Ministry of Interior. They also stressed the need to form a subcommittee for determining the coordination mechanism and achieving the desired results. 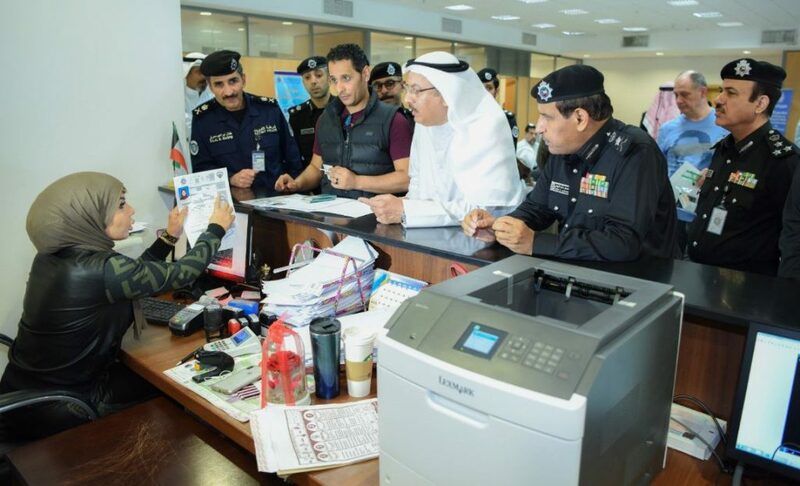 The General Department of Public Relations and Security Media called on everyone to maintain their Civil IDs, ensure veracity of the information contained in their Civil IDs in accordance with their passport details, and verify the spelling of their names in both Arabic and English in order to avoid mistakes which could prevent entry into or exit from the country. In a news conference held last Sunday, Director- General of the Residency Affairs Brigadier Abdul Qader al-Shaaban said that according to the law, the ordinary residency sticker in the resident’s passports is canceled and replaced by a Civil ID card issued by the PACI. Residents cannot leave or enter the country if they don’t have normal valid passports and valid Civil ID cards issued by the PACI, he stated.